1783 Sq. 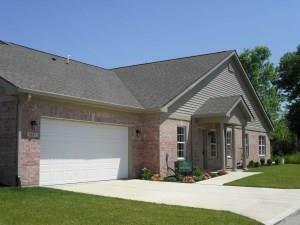 FT of living space in this 3 bedrm., 2 bath condo, with finished garage, covered porch and fireplace. Large master bedrm -20x13 sq ft. w walk-in closet. Master bath includes walk-in shower, 2 bowl vanity and linen closet. Separate dining area 11x11 and large kitchen w pantry and eating bar. 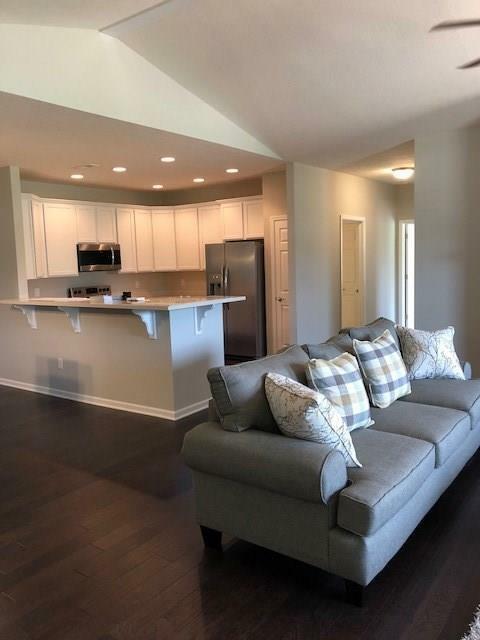 Vaulted and raised ceilings in this open design condo-light and bright. Low fee of $159/mo. includes water, sewer and trash.Stainless appliances. Upgraded Luxury Vinyl Plank Flooring and upgraded Cabinets.